An album that for some reason remained on that large stack of records that come by. Released a few months back it came into my life last month any way and in such a way that I am going to see the band play in March in Amsterdam. Maison du Malheur play everything but music that chagrins. A large smile on my face is more like it. 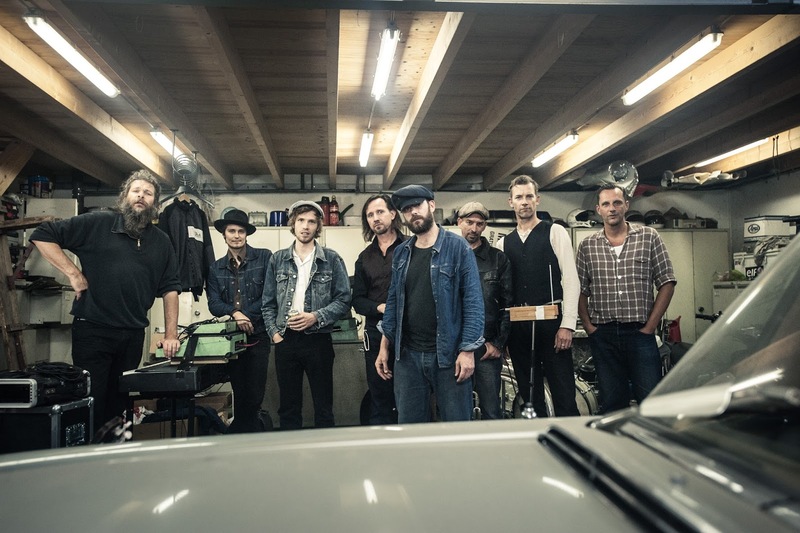 The rock and roll, soul and rootsy elements in the music of the band give nothing but pleasure. An extremely rough voice, of singer and bandleader JP Mesker, leads the eclectic mix of music that is associated with 50s and 60s American cars, enormous greasers and jiving. The fun of Maison du Malheur is that it doesn't stop there. Jazzy horns, a large wollup of soul and a little Tom Waits is added, giving the music its own signature. An electric version of Pokey LaFarge is a fairly accurate description. 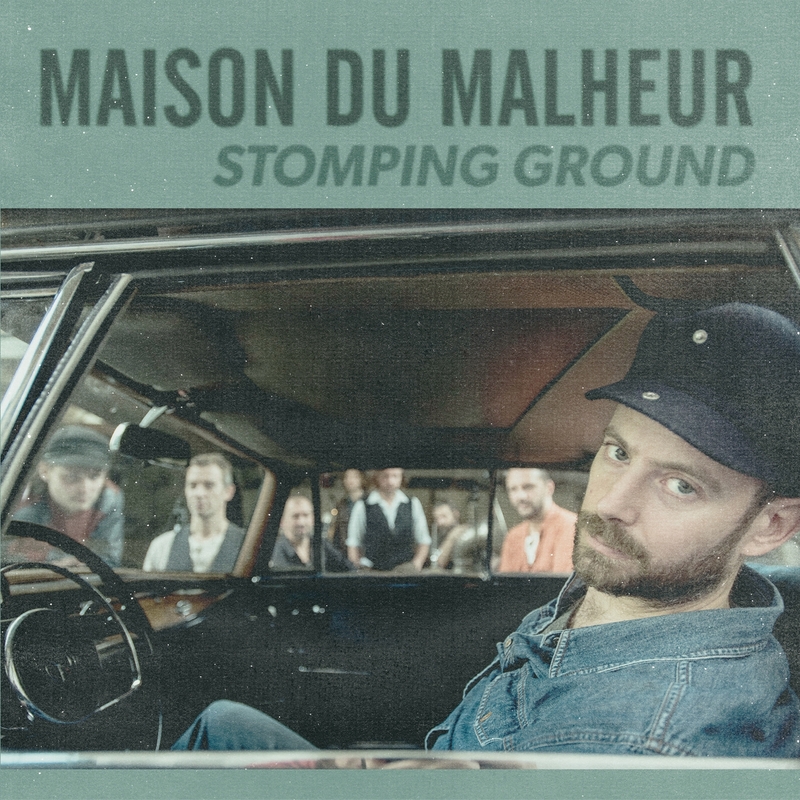 Maison du Malheur recorded Stomping Ground while playing live in the studio. In four days it had the album down. Eight man strong the band captured its energy in a way that must do right to its live reputation. From a singer-songwriter JP Mesker developed his project into a a full fledged band, that has its third, pleasantly entertaining album out. An album that contains a lot of different sounds and moods. The jazzy 'The Connection' is one of the most traditional jazz songs. With a clarinet opening over a banjo it is not a sound one expects to hear in 2016. This song is kept extremely small compared to full force outings where rock and roll is mixed with a lot of soul. 'The Connection' is as fragile as the song is. A delicate ending to a mostly upbeat album. So there may be several moods, Maison Du Malheur convinces in all. 'Join The Weeds' opens Stomping Ground with a New Orleans death march rhythm. 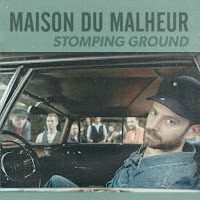 Strangely enough Maison du Malheur is not that far away from De Kift or Kaizers Orchestra. There is something eastern European shining through here as well or Tom Waits depending how you look at the music. There's a lot to enjoy on Stomping Ground. I just love some of the horn arrangements. They add so much flavour to the songs. A whole century of influences is allowed to seep into the music, which makes Stomping Ground a retro album. The energy infused into the music makes it a very modern one. A perfect match, I'd say.